Getting your learner's permit or driver's license for the first time? To get your Learner's Permit in Florida, you must successfully complete the 4-Hour Drug & Alcohol Course, also known as Traffic Law and Substance Abuse Education (TLSAE) or Learners Permit Course. This course is REQUIRED to get your Florida Permit. Our TLSAE course can be completed online in just 4 hours. Stop and start as often as you like and log in from any computer, phone, or tablet with an Internet connection. Take the DMV Exam online as soon as you finish the Drug & Alcohol Course (TLSAE). 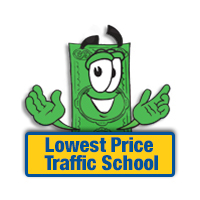 At LowestPriceTrafficSchool.com we take pride in providing our students with a fun and easy learning experience. This DMV approved course (also known as the FL DHSMV - Florida Department of Highway Safety and Motor Vehicles) is easy to follow with audio and visual enhancements to make the material easy to remember. Access your course 24/7. If you are in the process of earning your driving privileges, we can help at Lowest Price Traffic School. Our Florida DMV "Requirements Only" learner's permit package contains only what you need to earn your learner's permit, allowing you to focus on the essentials (and save money in the process). With this course, you can satisfy the TSLAE requirement and complete the DMV written test, entirely from home. Register now! 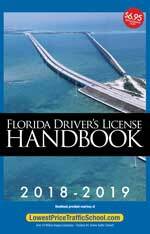 Did you know that if you're getting your Driver's License for the first time, the State of Florida requires all applicants to complete and pass a Learner's Permit course? It's true. What you may not know is this course goes by many names. Most people call it the 4-Hour Drug & Alcohol course but it's also known as Traffic Law and Substance Abuse Education (TLSAE), or Driver's Ed. It really doesn't matter what you call it, this is the State-Approved course you need to get your Learner's Permit at the price you've been looking for. Our 4-Hour TLSAE course can be completed online, right from home, or anyplace you can hook up to the internet and you'll have 24-Hour access to your course. Don't want to do it online? No problem. If you prefer to take your Driver's Ed Course in a traditional setting, we also offer Classroom Courses. Complete your course and pass your written Permit Exam without leaving home. Great News! Once you complete our Online Driver's Ed Course or if you've taken your 4-hour Learner's Permit course from another provider, you're eligible to take your DMV Permit Exam online, too! The date and the data from when you completed the TLSAE course is reported to the DMV (FL DHSMV), enabling you to take the DMV Test online instead of wasting time in a crowded classroom or waiting in long lines at the DMV. Register for your Online Driver's Ed course and Online Permit Exam. Log on to your account and take the DMV Exam online. NOTE: If you've already completed your 4 hour Learner's Permit Course with another provider (also know as TLSAE Course and Drug & Alcohol Course), then simply click on the "Order Now" button for the Online DMV Exam and you'll be taking the DMV Exam online in minutes! How old do I need to be before I can sign up for any course? Under Florida DMV guidelines, you must be 14 years old or older to sign up and complete a driver ed learner permit course. You may not apply for your learners permit until your 15th Birthday. What is the Zero Tolerance rule? The Zero Tolerance rule means that drivers under the age of 21 with a blood alcohol level of .02% or more will have their Florida driver licenses suspended immediately for six months. A second offense will result in a one year suspension. Refusal to submit to blood alcohol testing will result in a twelve month driver license suspension. A second refusal will result in an eighteen month suspension. Register now for any course or product and Save $5.00 during checkout! Simply enter SAVE123 and take advantage of this $5.00 discount.